What is Le Beck International? We are an independent specialist security and risk management consultancy with a dedicated presence in the MENA region and over 15 years’ experience working with a wide portfolio of corporations that span both private and public sectors . Our mandate is to empower and prepare senior executives with the ability to identify and mitigate security risks, threats and vulnerabilities in order to protect their most critical assets – their people, their business and their brand reputation. What is the history of Le Beck? Le Beck was established in 2001 by its CEO security and risk management veteran Anthony Tesar. The decision to set up operations in the region in 2004 was prompted by the increased terrorist activity facing the Middle East, and the growing requirements of major corporate organisation for expert advisory services to enhance their security measures and response capabilities. Le Beck initially worked with the Central Banks and prominent banking institutions in the financial sector to implement practical solutions to protect corporate reputations, facilities, employees and senior executives against potential and projected threats. Since then, Le Beck has evolved into the most trusted and widely respected consultancy in its field, expanding its reach and client portfolio across the GCC and MENA region to include major government entities, private corporations, mega city projects, as well as Family Groups and High Net Worth/High Risk Individuals from across the Middle East. What services does Le Beck provide? Le Beck provides sustainable risk management and security solutions that are industry-specific and tailored to the clients’ individual needs and business objectives. Our corporate services centre on Security Risk Assessments and Audits, Security System Design and Project Management, Master Plans and Security Procedures with defined roles, responsibilities and accountability matrixes that are essential to the long-term protection of the organisations’ non-financial regional and international assets. Our main services include: Security Risk and Threat Assessments, Security and Safety Reviews, Plans, Audits and Training; Security and Safety Plans, Policies and Procedures; Intelligence and Threat Analysis Briefings and Reports; Crisis Management and Evacuation Planning; Security Systems Project Management and Concept Design; Security Consultancy and Training; Fraud and Internal Crime Investigations; IT and Cyber Security Assessments; Business Continuity Planning and Disaster Recovery; and a niche focus on Executive and VIP Security Consultancy. How does Le Beck differ in the services it provides? Every service we offer is bespoke and the deliverables reflect the needs of each individual client, and take into consideration their related industry and local market scenarios. We pursue business growth by nurturing enduring relationships with our clients built on trust, integrity, impartiality and above all service excellence. This has enabled us to establish ourselves as an integral component of our clients’ business stability. Le Beck’s corporate services are flexible and have been designed to provide clients with the tools, knowledge and contingency framework to help them identify and mitigate potential security risks and ensure business continuity in the long-term. We assign dedicated, on-the-ground Senior Security Advisers to each client to ensure full alignment with the clients’ requirements. This ensures consistency and effective contract management. What industries/sectors is the Company involved in? Le Beck specialises in the Financial (retail & investment banks) and Critical Infrastructure sectors, with extensive know-how in the Oil and Gas, Petrochemical, Electricity, Water & Power, Transportation and Mega City Projects. In which countries/regions does the Company have offices? Le Beck manages all its projects from its regional headquarters in the Kingdom of Bahrain and from its full-fledged operational offices in Jeddah and Riyadh (KSA). The Company currently has a large dedicated permanent workforce made up of specialist advisers, analysts and support personnel based locally and in strategic locations around the globe. We also have direct access to an extensive network of international specialists that can be readily mobilised when the need arises. What is Le Beck’s competitive advantage? Le Beck is permanently based in the MENA region, and is fully attuned to the local dynamics, cultural sensitivities and socio-political landscape that influence this area. We have been successful in merging our international expertise and local insight to provide security risk analysis and tailored turnkey solutions that are fully aligned to the needs of the clients and complex regional market environments. Le Beck operates as an independent practitioner and is committed to impartiality and ethical practice. We deliver solutions that are not swayed by personal gain but are in the best interest of the clients and strive as an end result to deliver operational effectiveness, value-added engineering and overall cost efficiency. Our strength lies in our people; we have a dynamic pool of advisers internationally sourced from all corners of the globe. All of Le Beck’s consultants possess an in-depth understanding of the regional market and bring with them a wealth of experience, practical skills and field training through their established careers in Intelligence, Research and Analysis, Special Forces, Defense and Law Enforcement. What are Le Beck’s key achievements? 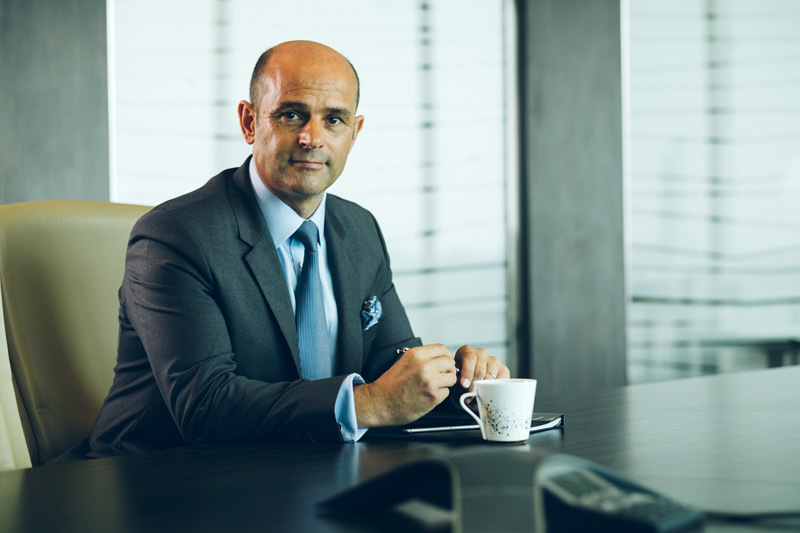 Le Beck is the only security and risk management consultancy in the MENA to have been featured in the SPEAR’S 500 for three consecutive years, citing Le Beck’s CEO as being ‘Eminence Gris’ a distinguished award given to those at the very top of their field of expertise. Le Beck is also one of a select few companies to be registered with the High Commission of Industrial Security (HCIS) in KSA and the only Recognised Security Organisation (RSO) in Bahrain for implementing ISPS Code requirements in regulated Port and Maritime facilities. What is the Company’s Vision & Mission? Our vision is to create a secure and safe environment for our clients, using realistic, practical, and objective advice that provides operationally effective and cost efficient solutions. Our mission is to remain the premier independent security and risk management consultancy that offers specialist advisory services to the private, public and government sectors in the GCC and MENA region. Is Le Beck a private or public Company? Le Beck is a private, independent consultancy – Bahrain registered company.